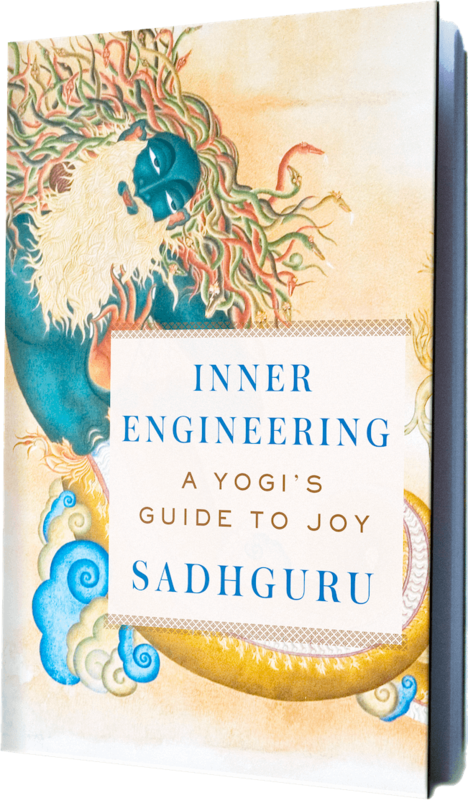 Isha Foundation is pleased to announce that Sadhguru’s new book, Inner Engineering: A Yogi’s Guide to Joy, will be released this September 20th, 2016. The book helps one to master the most sophisticated machine on the planet — the human being. For the first time, Sadhguru will present Western readers with a path to achieving absolute well-being through the classical science of yoga in a practical, accessible book. The wisdom distilled in this transformative book offers readers time-tested tools for creating inner situations exactly the way you want them, turning you into the architect of your own joy. In Inner Engineering, Sadhguru tells the story of his own awakening, from a boy to a young daredevil, to the moment of his enlightenment on a mountaintop in India, where time stood still, and he emerged radically changed. Today, as the founder of Isha Foundation, he lights the path for millions like you. Sadhguru is a realized yogi and mystic – a man whose passion spills into everything he encounters. With a keen mind, balanced by a heart that knows no boundary, his presence creates an extraordinary opportunity to break through limitations into one’s natural state of freedom, love and joy. Sadhguru has a unique ability to make the ancient yogic sciences relevant to contemporary minds, and acts as a bridge to the deeper dimensions of life. His approach does not ascribe to any belief system, but offers methods for self-transformation that are both proven and powerful.